According to Market Connections 2015 Federal Content Marketing Review, government contractors aren't giving contracting officers what they want. Government agencies needs for content are largely a response to budget and travel restrictions enacted in the wake of the GSA scandals and the ongoing budget crisis. When asked how they were getting important information in lieu of face-to-face interactions at trade shows and other events, government buyers indicated that they increasingly rely on content marketing to stay abreast of the latest trends and best practices. 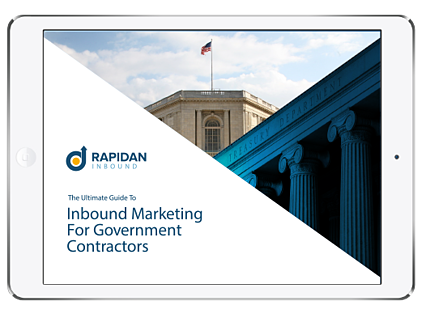 Are you using inbound marketing to connect with government buyers before RPS are written? Government buyers are looking to you to educate them and keep them up to speed on best practices and hot topics that impact their agencies. Get the jump on your competition, download your eBook today! Continue to evolve into higher-value content –educate, share best practices, keep government informed on hot topics and trends.